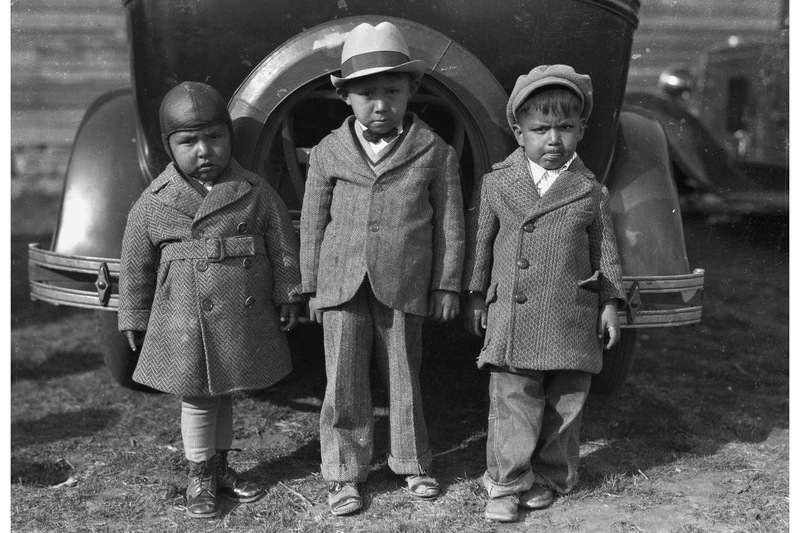 Horace Poolaw (1906-84) was an American Indian photographer who documented the life of his Oklahoma community of Kiowa Indians over five decades, from the 1920s to the 1970s. 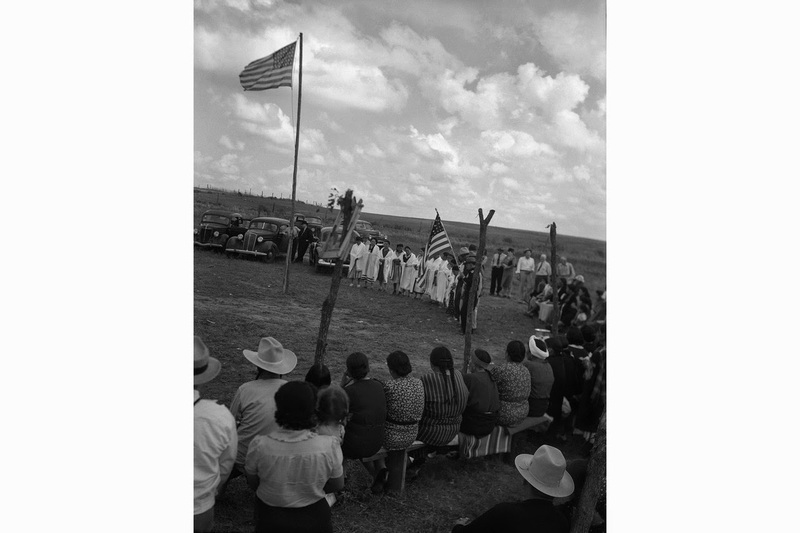 The National Museum of the American Indian in New York will run an exhibition of his work, from Aug. 9 through Feb. 15, 2015. 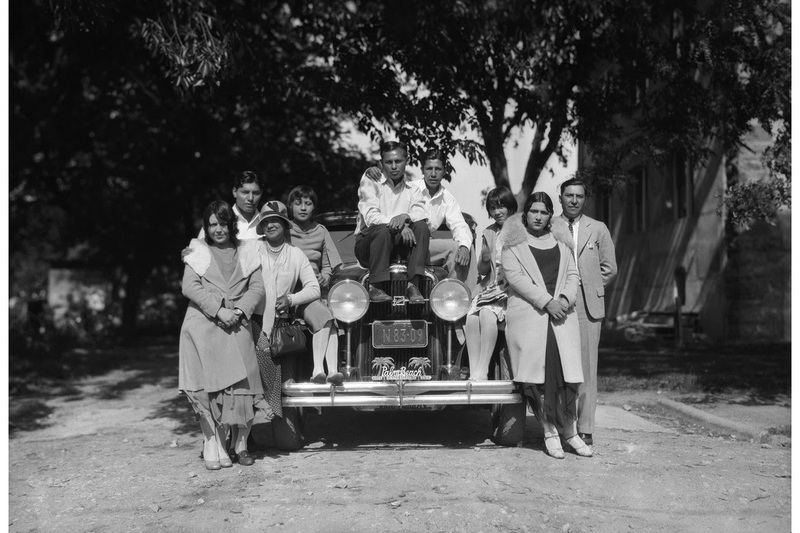 Mr. Poolaw's work—as seen in both the exhibit and a companion book, "For a Love of His People: The Photography of Horace Poolaw" (Yale University Press)—bears witness to a period of great change in the lives of his subjects, as they tried to balance age-old traditions and mid-20th-century American modernity. 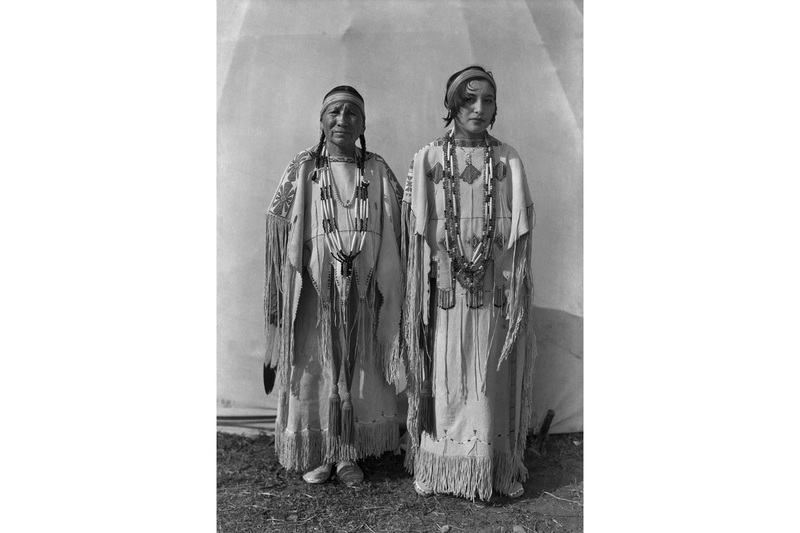 A mother and daughter stand side by side in traditional dress, with the daughter's short flapper-style bob reflecting the fashionable hairstyle of the day; Mr. Poolaw's son, Jerry, is photographed on leave from duty ca. 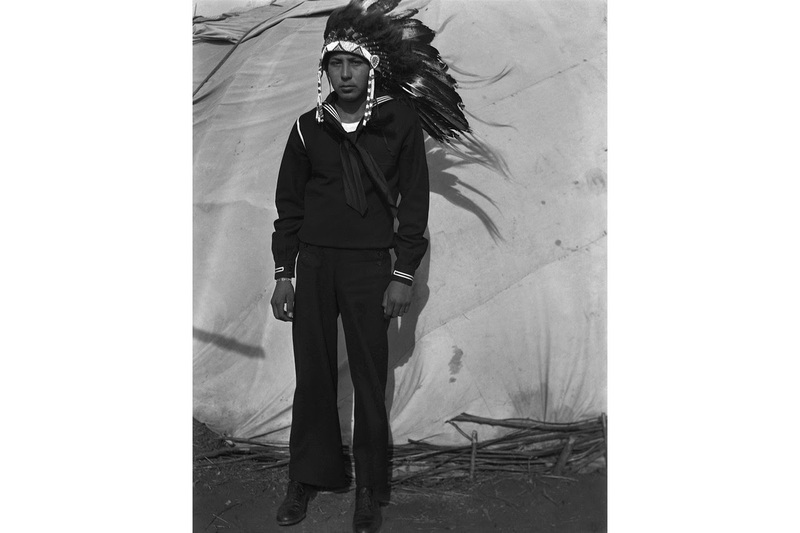 1944, wearing his U.S. Navy uniform with a feather headdress. Many of the photographs of Indians in traditional dress were taken at the popular American Indian Exposition in Anardako, Okla. These photographs eschew the earlier romanticism of the American Indian in works such as Edward S. Curtis's "The North American Indian." They seem intended instead to capture juxtapositions and dissonances, rooted in contemporary settings. 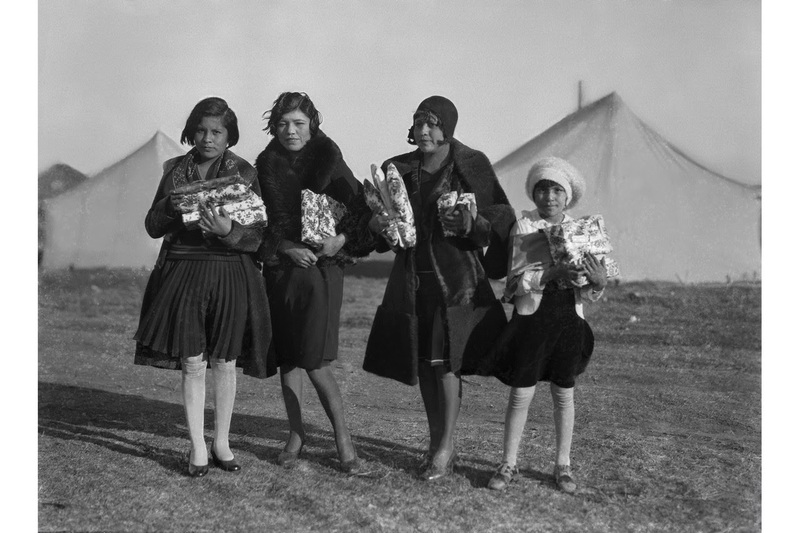 Nancy Marie Mithlo, a scholar and a leader of the Poolaw Photography Project, who is Chiricahua Apache, writes of the work in an essay entitled "A Native Intelligence:" "Poolaw's photographic genre is richly informed by contrast scenes—Kiowa tribal 'princesses' riding atop a car in a parade, a bare-breasted Native man boxing while sporting a plains headdress, a Native man in a suit drinking tea. 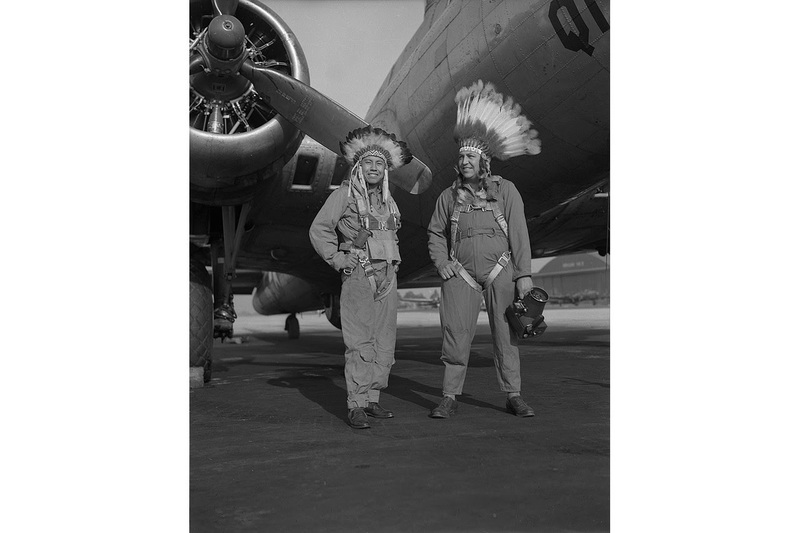 Even some contemporary Native American photographers have dismissed these images as 'posed' or inauthentic because they cross core aesthetic sensibilities and seem to 'mock' or play to an assimilationist standard, yet these images reflect real Native American engagement in performance, vaudeville, commercialization, capitalism and patriotism. Rather than represent a corruption of values, the Poolaw legacy reflects a visual realism, an active engagement in the urbanization, cosmopolitanism and leisure activities of America." Mr. Poolaw's body of work documents family, friends and community—weddings, celebrations and funerals—with compassion, wit and a rare insider's perspective on a way of life in flux. 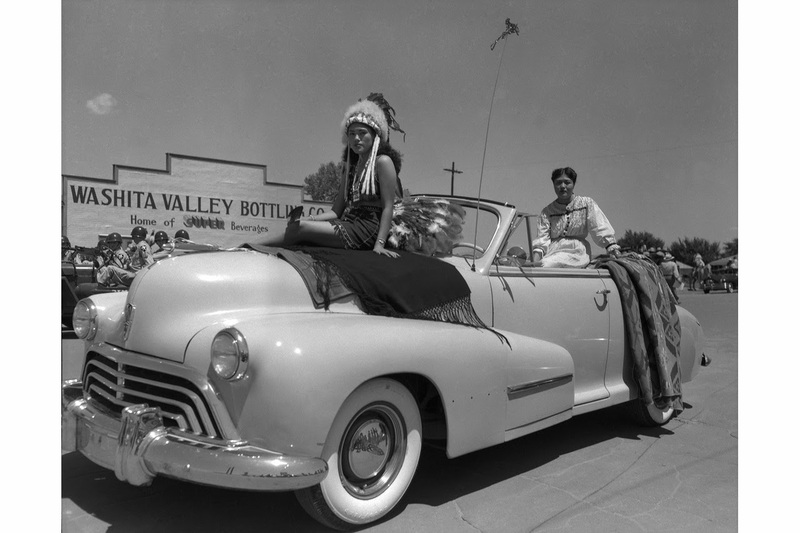 Responses to "Native American photographer captured the 20th-century transformations of his people (PHOTOS)"